What an interesting set-I don't think I have ever seen that color combination before. It would certainly bring some color into the room!! 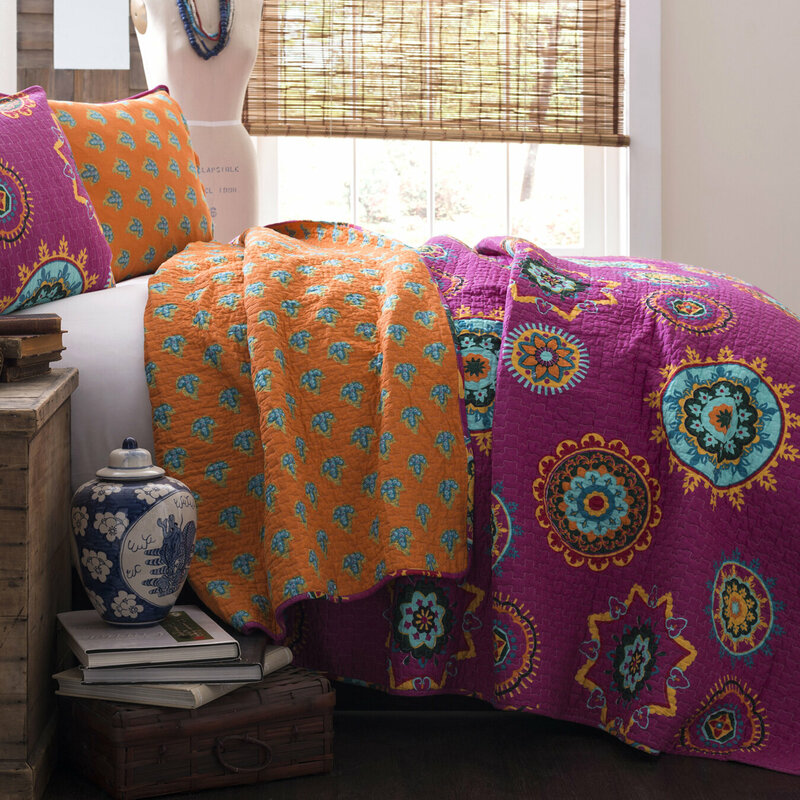 I love the warm and vibrant colors on this bed set. It is sure to liven any bedroom in your home. What pretty colors. This would look adorable in my daughter's room! Nice and bright! I can see my kids loving this set! They do go for the brighter colors! I love the colors in this comforter. I love when they are reversible. It is a great way to change the look of a room. oh, my! I want something like that. Pretty neat!